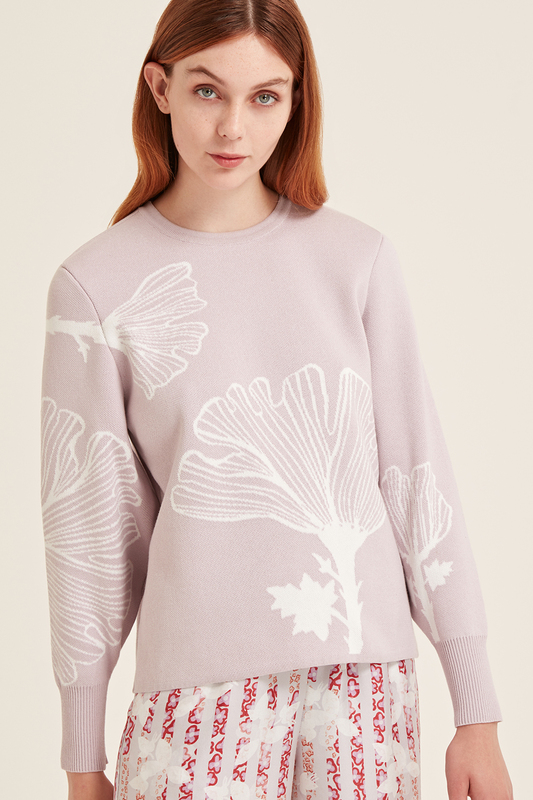 Lilac Felice flower print knitted jumper with balloon sleeves. 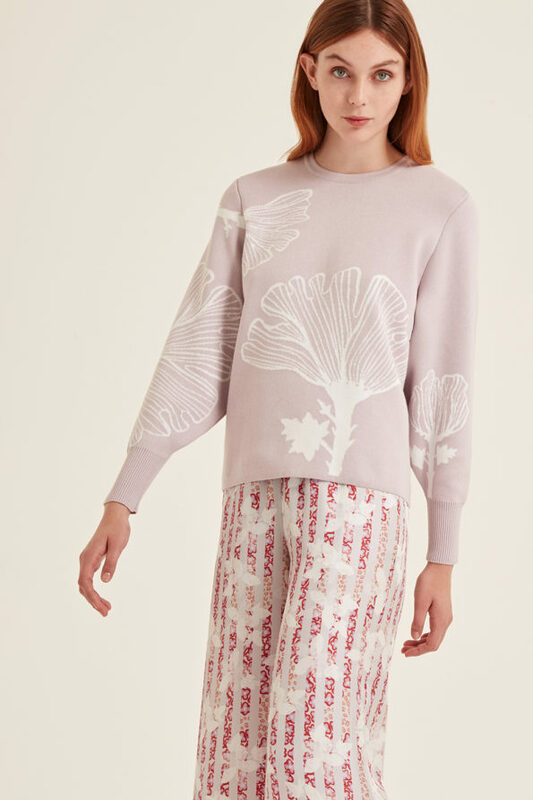 The unique print, flattering fit and elegant details make this jumper suitable for both, everyday life and evening occasions. Developed and made in the UK.